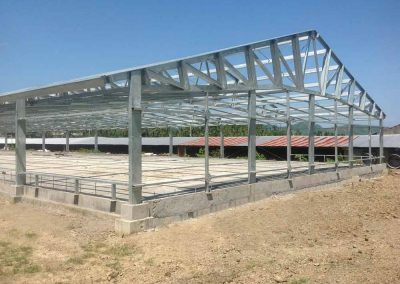 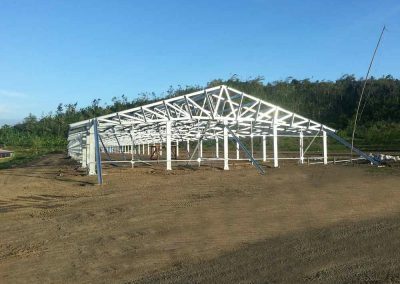 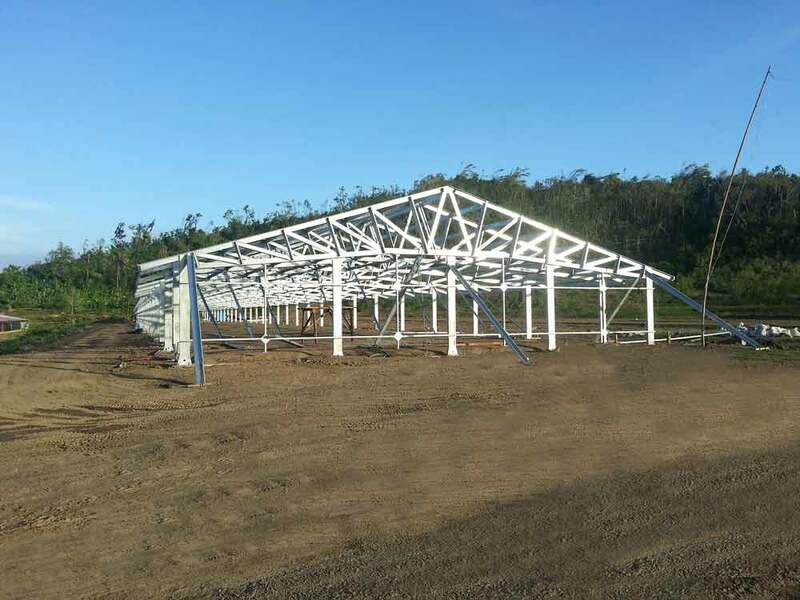 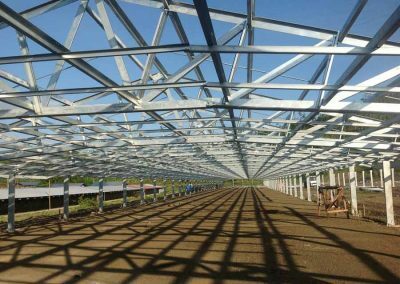 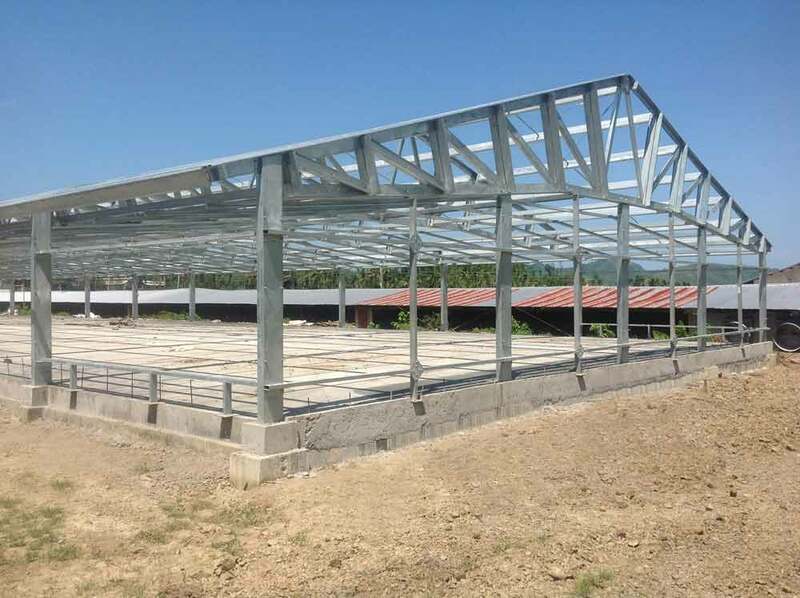 The broiler farm consists of 2 pre-fabricated broiler houses 15,5 m. wide by 150 long. 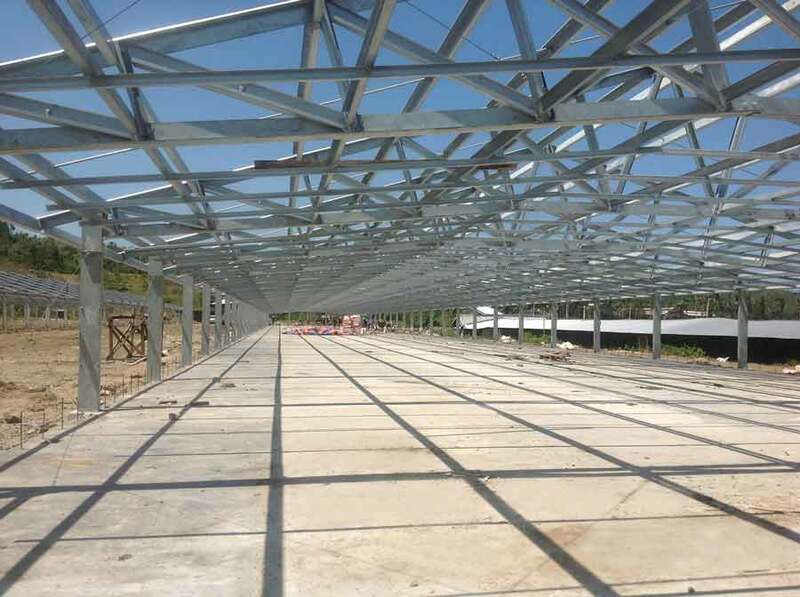 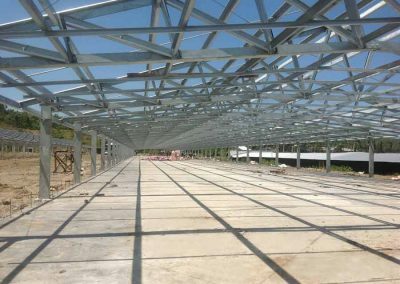 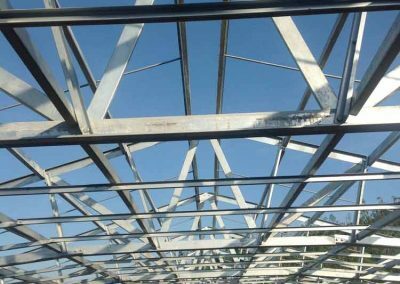 Modular structure made ​​of bolted galvanized steel sheet Z 600. 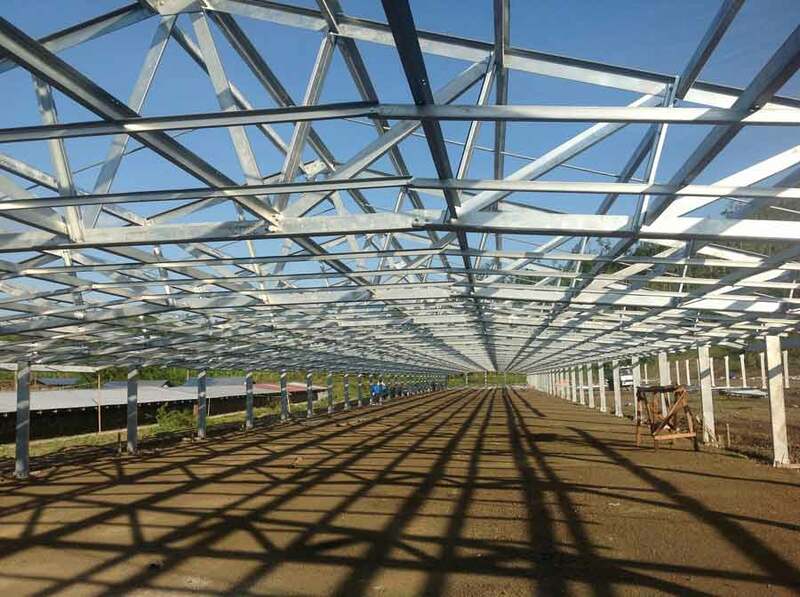 Wind resistance: the structure has been designed to resist winds up to 260 km per hour. 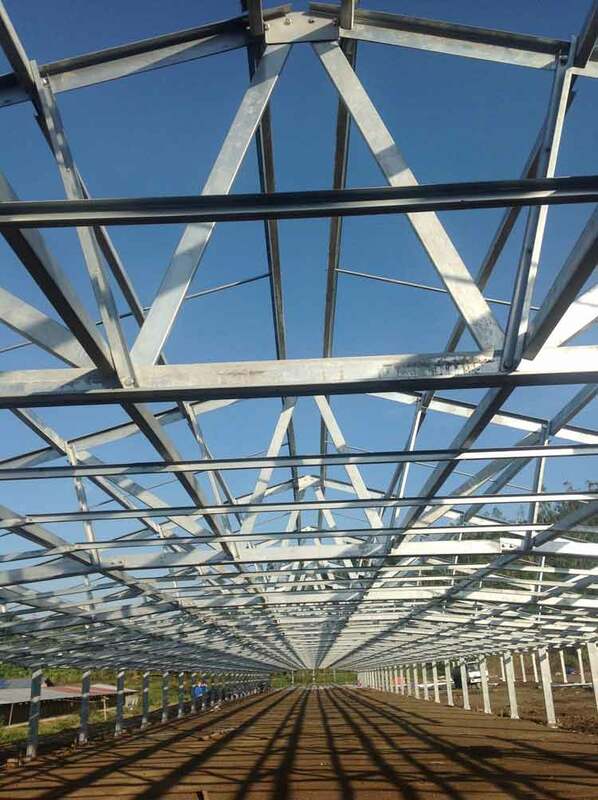 Special drop ceiling frame structure that optimizes the tunnel ventilation by minimizing the inside section producing more air speed with less ventilation fans.